Bring refreshment and relaxing aromas to your home with this fragrant green wax melt from Yankee Candle. 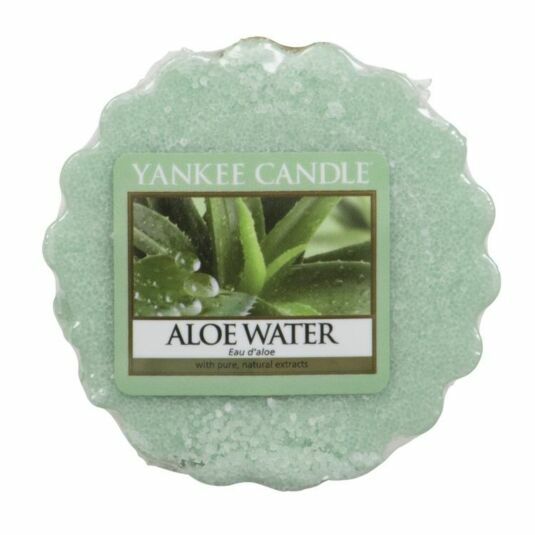 The scent of clean, reinvigorating water blended with soothing aloe to create a relaxing fragrance experience. This wax melt Tart has approximately 8 hours of fragrancing. There’s no wick and no flame to burn away any of the scent; simply place it atop a wax burner and it will gently melt and give off its fragrant aroma, reflecting a warm, relaxed sense of style that’s always at home, be it in the bedroom, the bathroom, the living room, or anywhere else you see fit.